This beautiful, large 2,680 sq.ft. home features formal living/dining, gorgeous kitchen opens to den/family room area, laundry, and a bedroom and bathroom, perfect as a guest suite or office, all located on the first floor. Upstairs, you will find three additional bedrooms that share an updated bath with dual sinks and tub/shower combo, and an enormous master suite featuring a remodeled master bath and large walk-in closet. The master is so large there is enough room to divide and add a sixth bedroom, gym, office space, or second walk-in closet! Stunning hardwood floors in living areas, remodeled kitchen with granite counter tops and stainless steel appliances. 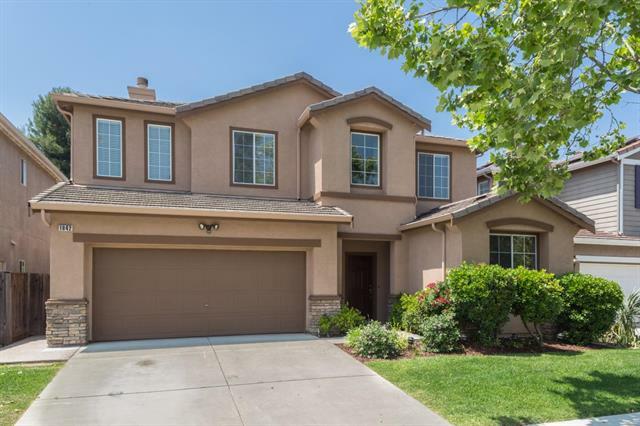 The location is super convenient to North San Jose tech campuses, 101/880/680 fwys, dining/retail, City Sports Club, Lowe’s, Costco, Great Mall, and San Jose Municipal Golf Course. Perfect for those looking for a quick commute!